Starring: Grant Gustin, Candice Patton, Jessica Parker Kennedy, Danielle Panabaker, Tom Cavanagh, Jesse L. Martin, Danielle Nicolet, Hartley Sawyer, Troy James & Phil LaMarr as the voice of Rag Doll. 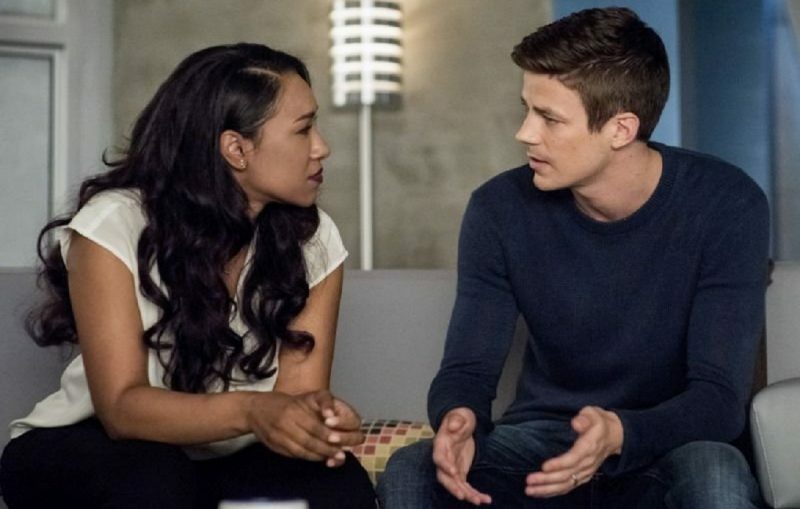 Featuring slow dancing, tuxedos, your friendly neighbourhood Elongated Man and the creepiest villain EVER, this episode of the Flash is not your run of the mill story, but it could be the best episode this season. Cicada may be scary when it comes to power, but Rag Doll is a special kind of terrifying! They say that a hero is only as great as his villains, if this is the case then Flash must be one of the greatest heroes of them all; Reverse Flash, Zoom, The Thinker, Savitar, Cicada… all forces to be reckoned with. This week we meet Rag Doll, who may not be in the same league as the aforementioned bad guys when it comes to raw power, but has every one of them beat in terms of pure creepiness. I don’t want to spoil the sheer awesomeness of this character, but I have to say something! I guess the best description of the character would the results of mixing the DNA of Michael Myers, “IT”, Jonathan Crane and Bray Wyatt, combined with a dash of 100% proof Joker cray cray. Yes, this is a fantasy, super-heroic action show, but what I love about the Flash is that it’s also much, much more. It’s strangely apt that this episode aired after the tragic loss of Stan Lee. Comics – in my opinion – aren’t all crash, bang, wallop. The best fantasy, be it on TV or in literature, is made great by its characters. This show has a veritable treasure trove of real, living, breathing, believable people… who just happen to find themselves in the most crazy and unbelievable situations. Stan Lee gave us superheroes with real world problems, and true to life personalities. Yes, the action, explosions, thrills and spills are important, but if no-one cares about the characters all the special effects in the world will get real boring, real fast. This episode showcases all of these elements beautifully. It also gives us an Amazing, unintentionally timely Ralph Dibney scene. Spectacular, and Astonishing would also describe how Ralph crosses Central City, with Iris on his back. Brilliant. This season has boasted some of the best character writing, and most superb character acting I’ve seen in this show. 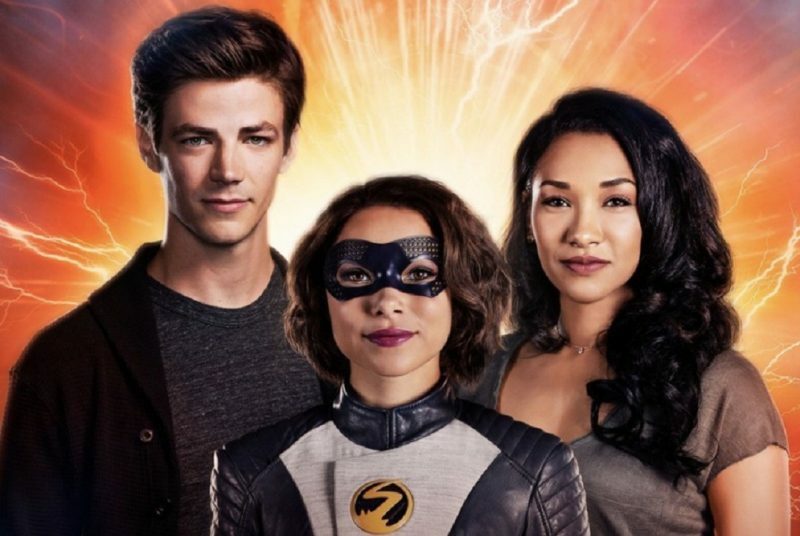 In this episode alone Jessica Parker Kennedy, Carlos Valdes and Danielle Panabaker have knocked the ball out of the park. Vibe may well be dead, but Cisco Ramon is alive and kicking. The moments between him and Caitlin this week were pure gold. In fact, every cast member had their time in the sun in this episode. Ralph, Sherloque and Cisco’s quest to help Caitlin find her dad take a very interesting turn this week too. 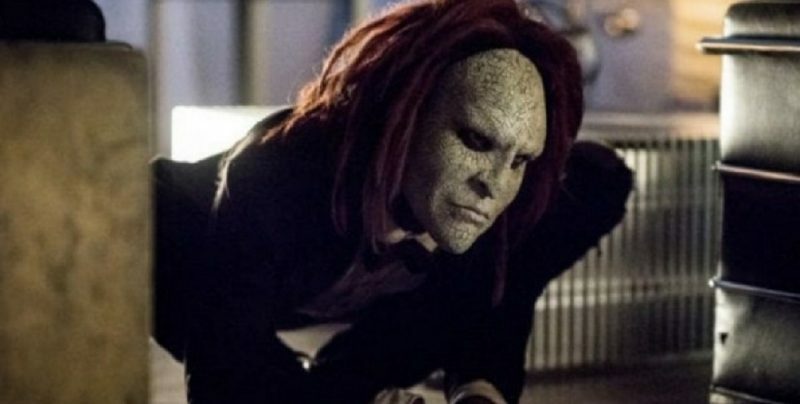 The revelations mount up, and are made all the more meaningful thanks to incredible performances from Hartley Sawyer, Tom Cavanagh, and most especially Carlos Valdes and Danielle Panabaker. 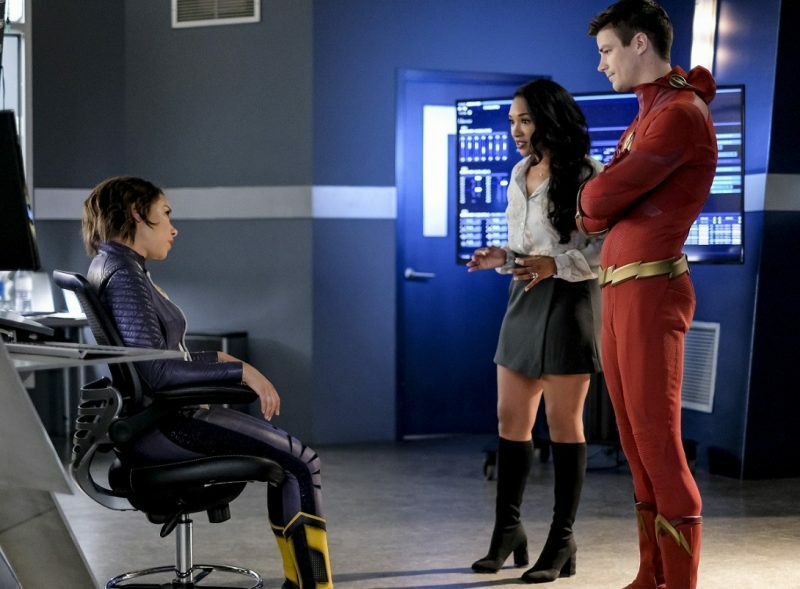 I was also very pleased to see a relationship between Danielle Nicolet’s Cecile and Nora, and more interaction between Iris and Nora this week, too. To say that Iris takes a real leap of faith in this episode would be a cosmic understatement. Great characters become greater when they’re allowed to develop, and grow. All in all this episode was a winner. The sub-plots moved forward beautifully, were brilliantly written and incredibly well acted. Cicada may not have made a physical appearance, but his presence was still felt. I have to say though, that the baddie this week stole every scene he was in. The physical performance from Troy James, combined with the scary as heck voice of Phil LaMarr as Rag Doll, made this character one of the most memorable screen villains since Hellboy’s Karl Ruprecht Kroenen/Clockwork Man. The title for the next episode has me very excited too. Are we finally going to get some answers in regard to ancient ice deities, missing dads, and Killer Frost? Join me for “The Icicle Cometh” won’t you?